Scottish FA will begin the search for a new boss after friendly against Luxembourg. Craig Levein has left his position as manager of the Scotland national team with immediate effect. The Scottish FA's board had been deliberating over his future for several days as Levein’s position had come under scrutiny following a dismal start to the qualification campaign for the 2014 World Cup. Scotland under-21 coach Billy Stark will take temporary charge of the senior team. 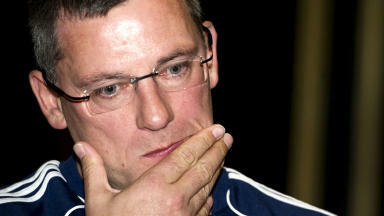 In a statement on the SFA website, cheif executive Stewart Regan said the decision was taken "with real sadness". Regan said: “Craig has worked hard to bring success, and has been thoroughly professional in his approach to the job. "He has achieved a great deal with the team and in other areas, such as the Performance Strategy. However, he would be the first to agree that football is a results-driven business. “For that reason we have relieved Craig of his duties with immediate effect. “Billy Stark will take interim charge of the team for the friendly against Luxembourg. There will be a short delay in announcing that squad, which Billy will select, and we have informed the Luxembourg FA of this development." Regan added that the search for the next manager of Scotland will begin after the Luxembourg friendly. He said: "We will give ourselves time, given our fixture schedule, to find the right person for the job. Discussions over Levein's future began last week and continued into Monday, just 24 hours before Levein was due to announce a squad for the forthcoming friendly. Those talks concluded with the seven-man board deciding that Levein would have to be replaced as manager of the senior team. Home draws with Serbia and Macedonia were followed up with defeat in Wales, having led by one goal, and to group favourites Belgium. 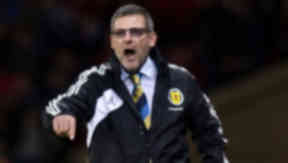 Having taken charge of 12 competitive games, Levein managed to win just three, beating Liechtenstein twice and managing a home win against Lithuania in the failed Euro 2012 qualifying campaign. Levein's deal runs until 2014 and the SFA has said it will honour the contract. 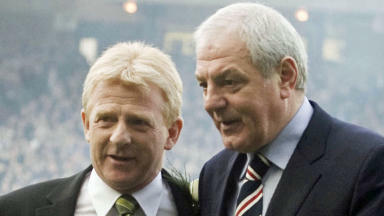 5 Nov 2012 Scotland manager shortlist and odds: Who will take the job next?